If you are new to MLM, you are probably wondering how to succeed in your network marketing business. Before we get into some network marketing tips, understand that there is a learning curve to network marketing. It’s just like anything new that you put your time into. It takes time and patience but MLM is so worth it as a way to increase your income. The fastest way to grow your network marketing business is to find quality people to talk to and share your business with. Today I have 3 MLM tips to help you get results fast. You MLM sponsor may have told you to make a list of your warm marketing contacts. I bet you just cringed when you heard that! That still works and it’s a way to talk to a lot of people fast about your network marketing business. 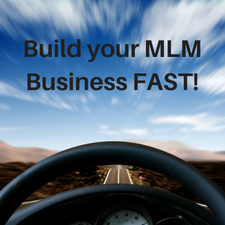 Sure it’s a bit labor intensive, but you want to build your MLM business fast? Right? Most successful network marketers start out talking to their warm market. The great thing about approaching your warm market is that they already know, like and trust you! If you were to start out approaching your cold market, these are people who don’t even know you. Why would they trust you. By talking to your warm market about your network marketing business, you are getting practice and learning how to deliver information in a positive way. That right there will set you up for success when you start approaching your cold market. The key to talking to your warm market or any person is to not take it personally if they don’t join your business. Be committed to the process and not the result. That’s how you will eventually build your network marketing business fast! If you are only focused on the result, you might end up nagging the same few people over and over. NO! Use this opportunity as a way to educate others on your products and business so you can effectively present your business to your cold market. We are not in the convincing business. One way to build your MLM business quickly is through referral marketing. That’s a fancy term for getting referrals from your warm market. You will get a lot of NO’s in this business but don’t let that dissuade you from building a success network marketing business. If they say NO, don’t try to convince. Believe me, I’ve been there and those people that I “convinced” to join my MLM team did absolutely nothing! You want people who really want to build a successful network marketing business. When you hear that NO don’t take it as a rejection. Just ask the next question: Do you know anyone who might be interested in this product or opportunity? That is how you can get some referrals. There are many ways you can approach this based on the nature of your MLM business. Do you know anyone who wants to lose weight and get in shape? Or, Do you know anyone who wants to learn how to make some extra money? It’s that simple. Get the referrals to help you build your MLM business fast! I get pitched from family and friends on a variety of products and business opportunities. I usually decline but take the time to learn about their offer. If I know someone who is looking for that type of product, I am happy to refer them. While traditional methods work to grow your network marketing business, using attraction marketing online is the best way to get even faster results. Eventually, you will run out of your warm market. To succeed in network marketing, you need a consistent flow of people to talk to. 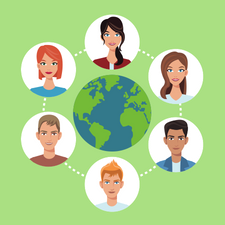 You grow your MLM team with online attraction marketing. I was amazed at how fast my MLM business grew once I was able to present to massive numbers of people online. If you do network marketing online the right way, prospects will come to you! It’s true. That’s exactly what happened to me. I was able to grow my network marketing business fast because I had new customers and leads coming to me daily. There are many ways to build your MLM business online using attraction marketing. But the important thing is to get started! Starting a network marketing business is an exciting way to create a new income stream. Talking to your warm marketing and getting referrals is a great way to get started and get practiced at educating others. If you really want to grow your MLM business fast and get fewer rejections, using online attraction marketing is the way to go. Learning how to leverage social media is something any person can learn. Ready to attract buyers for your business daily without ever getting rejected? Grab this Ultimate Attraction Marketing Bundle for just one dollar and start getting fast results now!